Learn the fundamentals of stance, arm position, and grip while mastering the art of playing together. Experience the joy of true synchronicity in taiko. Includes thorough explanation of taiko's oral teaching tradition, "kuchishoga", as well as extensive practice of serial sticking, for empowered song learning. 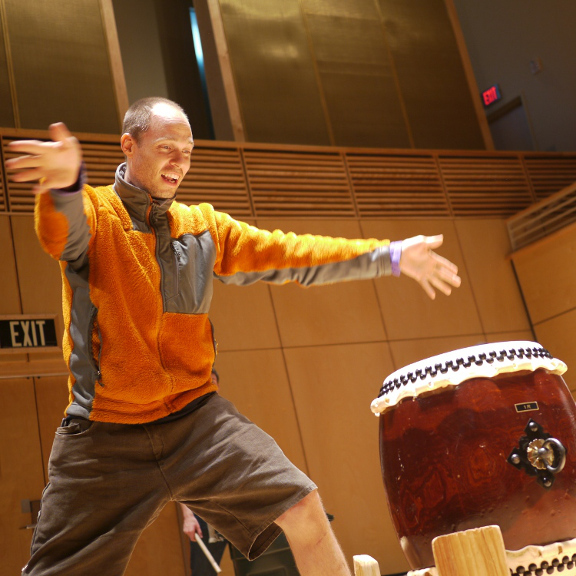 Open to first-time taiko players and experienced players seeking to refine the fundamentals. Join this session to be a part of the oroshi demonstration at the Bachi BBQ in May!